Philip Wadler is a professor of theoretical computer science at the University of Edinburgh, Scotland, where his research focuses on functional and logic programming. He co-authored the Generic Java standard that became the basis for generics in Sun's Java 5.0 and also contributed to the XQuery language standard base. 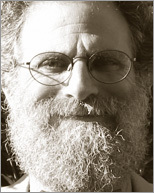 Professor Wadler received his Ph.D., in computer science from Carnegie-Mellon University and co-wrote "Introduction to Functional Programming" (Prentice-Hall). "Ever since the release of Java 5, I've been keeping my eyes open for a book that describes what I believe to be the most powerful new feature of Java - generics. The new book published by O'Reilly, Java Generics and Collections covers this topic in spades. As a bonus, the second half of this book examines the Java Collections Framework." "There have been quite a few books out that deal with the new Java 5.0 features, of which generics and collections are the featured items. But few go past the basics and common usage. Naftalin and Wadler devote this entire book to just those new features, which means they can spend a lot more time diving into the guts of how they work...Solid material, and definitely a title you'll want to have around when you start playing around with generics and collections." "I had not found (until now) a book that went into sufficient detail on the features/usefulness/patterns/etc around support for generics in Java 5...I'd highly recommend this book if you're looking into generics in general, or even just using the Java Collections framework."